Ahead of this event, we've provided a short extract from a previous interview with Cate, from the Anne Summers Reports magazine (number 8, June 2014 edition). The turning point in Cate Blanchett's career was her remarkable performance in Elizabeth in 1998. But after that role, all the scripts that were sent to her "were basically different costumes, same dilemma", she said. "And I thought, gosh, you get typecast quickly." But "there was a small part playing a Long Island housewife in a film with John Cusack and Billy Bob Thornton so I took that". That film was Pushing Tin (1999) by the English director Mike Newell who, before he directed Harry Potter and the Goblet of Fire in 2005, was best known for Four Weddings and a Funeral. Blanchett took this small role, not so much to confound expectations, but "because I didn't necessarily know that I could do it. I thought, I haven't done that before". "My knees were sweating when I was talking to Scorsese," she tells me. "I was devastated when I got off the phone, and Andrew said 'What did he say?' and I was so down in the mouth, I said, 'He's asked me to play Katharine Hepburn and I am going to have to say yes because of course you can't say no to Scorsese' but I thought, this is it, this is over, this is career suicide to play Katharine Hepburn in the medium in which she was so iconically known and loved. It's suicide." Instead, the role gave Blanchett her first Oscar. The woman who says she is "endlessly disappointed in herself "-by which she means in her performances-the actor who agrees with Martha Graham that no artist is ever satisfied, and that it's "this blessed unrest" that keeps her going, stunned audiences with her portrayal of Hepburn. From then on, she could do anything. 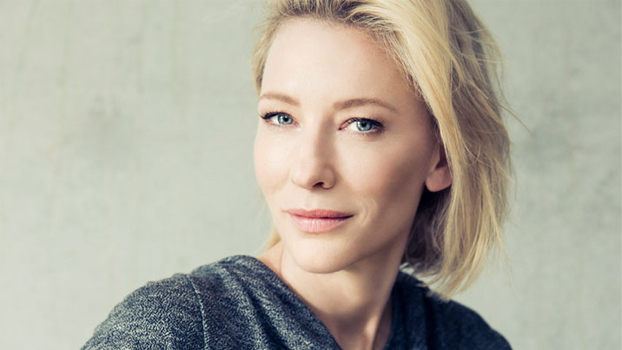 For more information and bookings go to Anne Summers in conversation with Cate Blanchett.